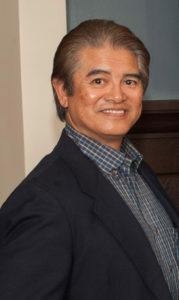 A candlelight vigil will be held Sunday at 5 p.m. in memory of Paul Bandong, longtime executive and reporter at the Valley News, who died suddenly Jan. 7. The event will take place in Town Square Park in Murrieta, adjacent to City Hall. The public is invited to come and participate. Bandong is survived by his wife Tammy and son Anthony. A fund has been set up to support his family. To donate to the Paul Bandong Fund, text "PAUL" to 951-900-3980.